ESET®, a global pioneer in proactive protection for 25-years, has compiled and published a summary of today’s six most important steps to deterring cybercrime on WeLiveSecurity.com, focusing on how to make cybercrime less appealing to perpetrators. 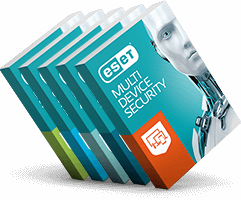 ESET’s security expert Stephen Cobb has compiled a list of the six most important steps to consider in his recently published examination, Cybercrime deterrence: 6 important steps. Catch perpetrators faster: a range of measures available to further deter criminals includes increasing sentences for those convicted, increasing the probability of being convicted, and increasing the speed with which criminal acts are punished. Teach cyber ethics: adding cyber-ethics to the elementary school curriculum will see both significant immediate as well as long term benefits. Improve opportunities in developing countries: addressing the surplus of those with cyber skills outweighing the number of available jobs focused on cybercrime deterrence. Measure the problem: Consistent efforts to objectively measure the problem of cybercrime are notable by their absence or inadequacy. For a more detailed analysis, please read Stephen’s article, entitled Cybercrime deterrence: 6 important steps.